We are one of the few gyms on the Northern Beaches with a creche providing child care! It’s not always easy committing to a fitness lifestyle, but the rewards are incredible and the energy you get back is well worth it! 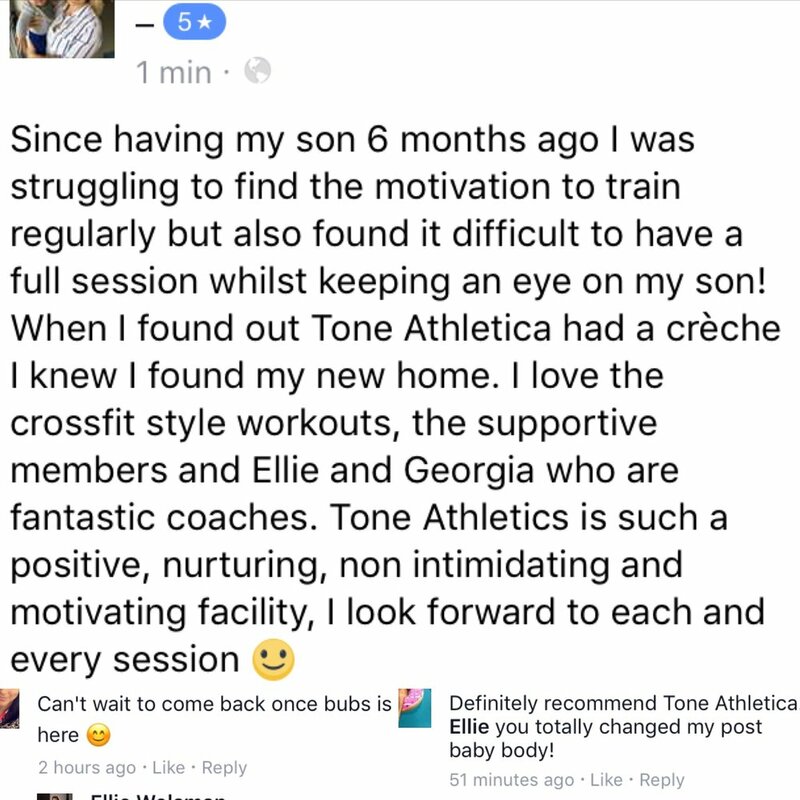 Tone tries to make it as easy as possible by providing our much loved crèche! Finally, being a Gym close to Warringah Mall with tonnes of onsite parking, there's lots to do before and after your workout! So if you know it’s time to move forward and put your fitness first, click here to find out how you can get a taste of Tone Athletica! Working out should be one of the best parts of your day! Just check out some of the comments our Mum’s have said on social media! We know as a Mum you are busy and finding balance can be a challenge.